About the book: Why do books smell like books? Why are some people always late? What causes earworms? If you have ever wanted to know the answer to any of these questions, the science behind these questions, and many more is inside this book. What I thought: This is Dr. Karl’s 43rd book and from what I can see there has been no decline in quality since his first, released in 1985. This is my second favourite Doctor Karl book, with my favourite being 2016’s ‘The Doctor’. Filled (as usual) with many interesting facts and jam-packed with science, I highly recommend this book to anyone looking to learn more about the world, and everyday curiosities. I think this book would be best for ages 12+, because although the ideas have been broken down to be easy to understand, some of the concepts could still be a bit challenging for younger readers. Read more about Karl, The Universe And Everything and buy at Booktopia. I'm a 12 1314 15-year-old Aussie boy who loves to read. My favourite books include 'Jasper Jones', 'To Kill A Mockingbird' and 'The Lord Of The Rings'. This website contains reviews of books from junior fiction to YA novels and, now, adult reads as well. I only review books I like. My book reviews have appeared in The Sunday Telegraph, and on sites such as Children's Books Daily, Creative Kids Tales and Inside A Dog. I am a former member of the #LoveOzYA committee (2018). I'm also a singer-songwriter who performs regularly, and you'll find a taste of my songs on the Music page. You can also contact me there. 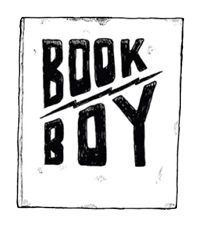 Type your email address here to automatically receive Book Boy updates! This site uses affiliate links. The linked title of each book takes you to the Australian based online bookstore Booktopia. Purchases clicked through from the Book Boy site result in a small commission, which is used in part to maintain the site and to keep me in books so that I can keep reviewing!